If you have a Google+ Profile, you’ve probably seen the emails by now announcing the shutdown of the failed social platform. The Google+ shutdown will happen on April 2nd, 2019. If you’re left scratching your head about what this all means to your business, don’t worry. We have untangled the mess for you! 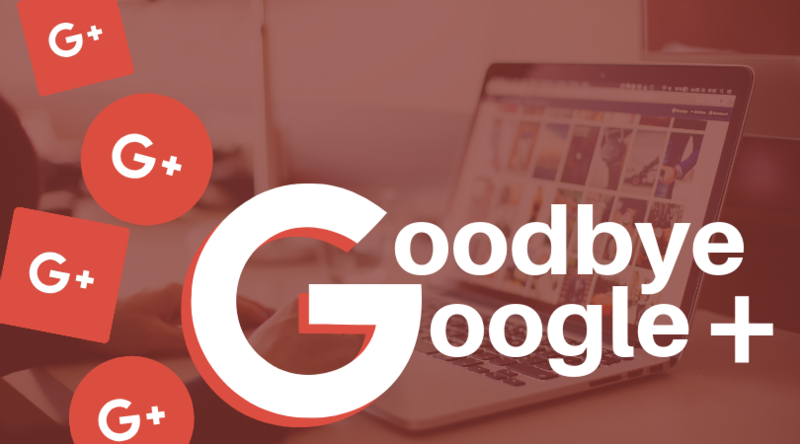 Google+ will say goodbye April 2nd, 2019. And all of your Google+ content will disappear right along with it. If you have information that you’d like to save, you can choose to download all Google+ data, or download specific content. Next to the type of content you want to download, like Google+ Stream, click the Down arrow . These directions are directly from Google. More information can be found here. Also, remember to remove any links on your website that point to your Google+ account. Google Brand pages were linked to Google+ as an effective way to promote businesses that don’t have a physical address. With the Google+ shutdown, it doesn’t look like the Google Brand pages are going to disappear, but there will be decreased functionality since it won’t be linked to Google+ anymore. We will stay on top of this and provide updates as we have new information. With Google+ going away, you may wonder how to maximize your presence on Google for SEO rankings. Make sure you have a Google My Business page set up. Your Business Profile shows up when people search for your business on Google Search or Maps. Here you can add photos, offers and promotions, and respond to customer reviews. You’ll also get insights to learn how people found you and where your customers are coming from. In order to set up your Google My Business page, you will need to provide a physical address. Google will then verify your business by mailing a postcard to your office with a code. Then enter this code into your Google My Business page and your listing is verified and ready! Despite the Google+ shutdown and potential changes to Google Brand, most of your Google products won’t see any changes. Your Google Mail, Calendars, Contacts, Drive, Docs, and Hangouts won’t change. If this all sounds like too much to process, contact Blindspot today! Our experts are happy to help you get everything sorted out.